Indeed, after weeks of overcast and inclement weather, the sun has peered from behind the clouds, bringing all vegetation back to life! Spring is here and we are celebrating its arrival. 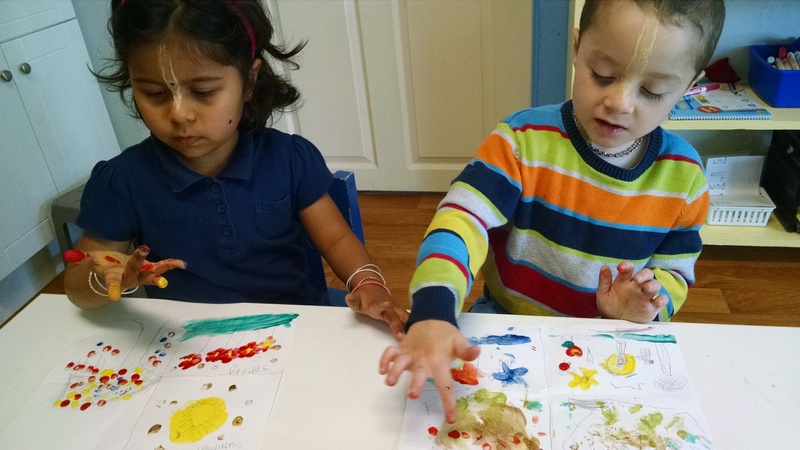 After a week-long break, the preschool class learned about the four seasons and sketched a finger-painted exhibition of their characteristics. Along with the Lower Elementary class, we went to the Dallas Children’s Theater and were entertained by the “Tales of Peter Rabbit.” Mr. McGregor even came out for a group picture! The appeal of the beautiful stage scenery of the woods and the garden demanded an outdoor picnic. 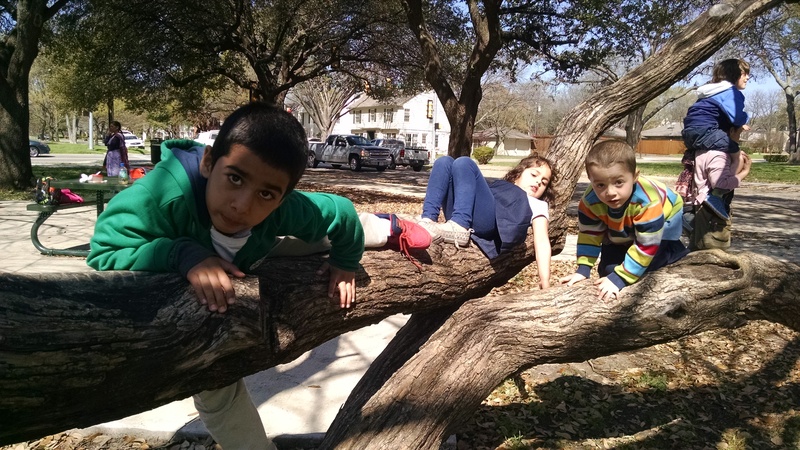 Tietze Park, with its climbing trees, provided the perfect natural ground for play on this beautiful, sunny spring day! Donor Spotlight: Narayana & Laura Meyer A Friendly Letter Makes Padi Cry?